Apple has sent out invitations to the "Gather round" event, with it happening on Sept. 12 at 1:00 p.m. Eastern Time in the Steve Jobs Theater at Apple's new headquarters. Apple's invitation to the 2018 Special Event contains the now expected cryptic text plus full details of only one thing. The event will be at 10:00am Pacific time, on September 12, 2018 at the Steve Jobs Theater in Apple Park. It doesn't even acknowledge that there will be any iPhones mentioned —but it seems fairly certain that they will be unveiled there. However, that is the purpose of this event or at least it has been for the last six years. Based on that, plus specific mention of "strong growth from iPhone [sales]" by Apple's Chief Financial Officer, you can be certain there will be new phones. We are expecting three models of iPhone, based on multiple reports from the supply chain where parts have been in design and manufacturing for some time. There should be a new top of the range model which will be an evolution of the iPhone X. It's expected to be Plus type of model with a screen of 6.5 inches as compared to the iPhone X's 5.8 inches. That model is most likely to feature the same kind of OLED screen as the iPhone X did. It's expected that of the three new iPhones, two will have these which probably means the X range is going to be like previous iPhones and have a standard and a larger-screen Plus version. The remaining iPhone of the three is therefore most likely to be a replacement or a development of last year's iPhone 8. However, it will have a larger screen at 6.1 inches instead of either the iPhone 8 4.7 inches or the iPhone 8 Plus's 5.5 inches. There is one more anticipated aspect: the 6.1 inch iPhone may ship in a choice of many different colors, according to analyst Ming-Chi Kuo. Reportedly the number of colors will be similar to what Apple did with the iPhone 5C back in 2013. Based on regulation-required documentation filed with the Euroasian Economic Commission, we're looking forward to multiple new Apple Watches. 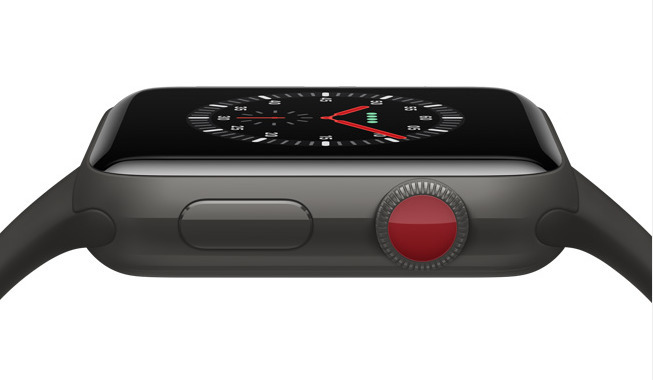 The Watch does already come in two sizes and with or without LTE. However, because these are new filings, it's expected that there will be significant design differences from the current models. If so, it's expected that the changes will be to the size of the bezels on the Watches, meaning more space for a larger display. These September Special Events are built to showcase the iPhone so we are supremely unlikely to see anything about Macs. However, supply chain information suggests we will see a new iPad Pro or two. If so, it's expected that these will take design cues from the iPhone X and present with smaller bezels, the removal of both the home button and the headphone jack. It's likely that they will also feature the removal of TouchID and instead feature its replacement, FaceID. 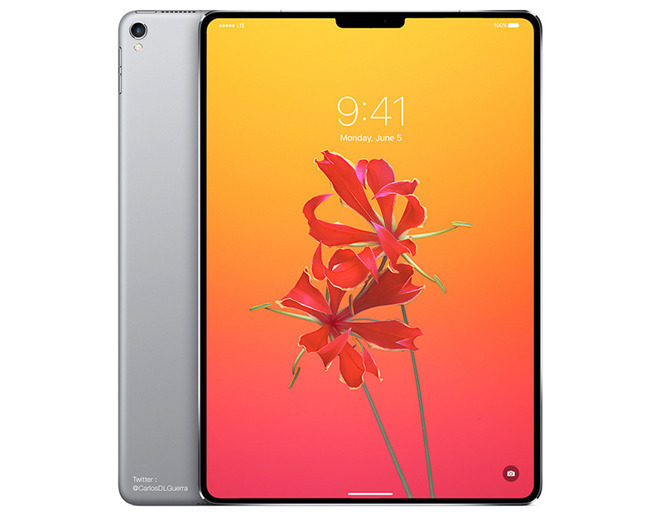 Japanese site Macotakara claims the 10.5 inch iPad Pro will be reduced from 250.6 x 174.1 x 6.1 millimeters to 247.5 x 178.7 x 6. Similarly, the 12.9 inch will perhaps change from 305.7 x 220.6 x 6.9 millimeters to 280 x 215 x 6.4. One thing we'd be surprised if we don't see is the AirPower wireless charging pad for the iPhones and iPads. This was included last year and has yet to ship but officially it won't be considered late unless it slips to 2019. Apple has already said that the AirPower pad, whenever it comes, will be joined by a new charging case for the AirPods. It is the case that will be rechargeable via the pad, not the AirPods themselves. The new iOS 12 will certainly be included in the event though there surely won't be either any surprises as it was unveiled back at WWDC. We can expect to see some demos using it but for all its importance, iOS 12 won't be the star attraction. It will be used to highlight the capabilities of the new iPhones. The same is probably true of macOS Mojave, though it's also possible that Apple will just announce the official shipping date of that. There are other things Apple could announce or give sneak peeks of. For instance, a new Mac mini is rumored to be coming soon and there is arguably an iMac update due. Plus we do know for certain that a brand new Mac Pro is coming. However, any of these would take at least some of the spotlight away from the new iPhones, so we are expecting either a separate event, or a press release heralding arrival similar to how the 2018 MacBook Pro was announced.